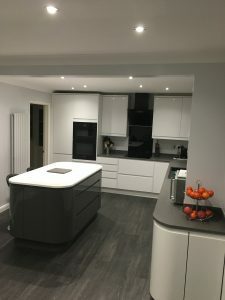 A recently finished Corian kitchen project. 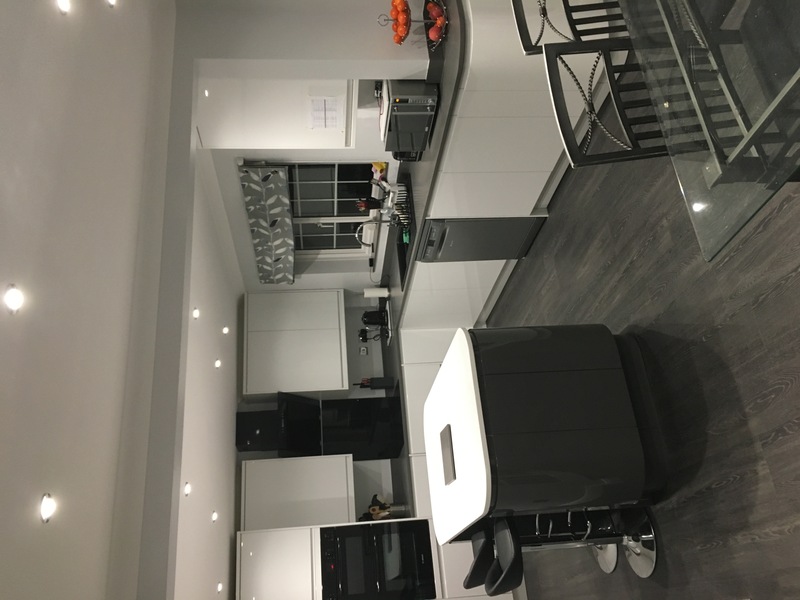 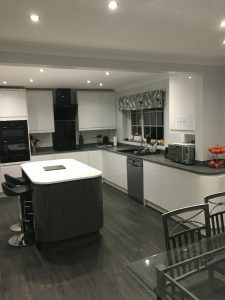 Our customer opted for a Glacier White Corian island top and Deep Cloud Corian worktops. 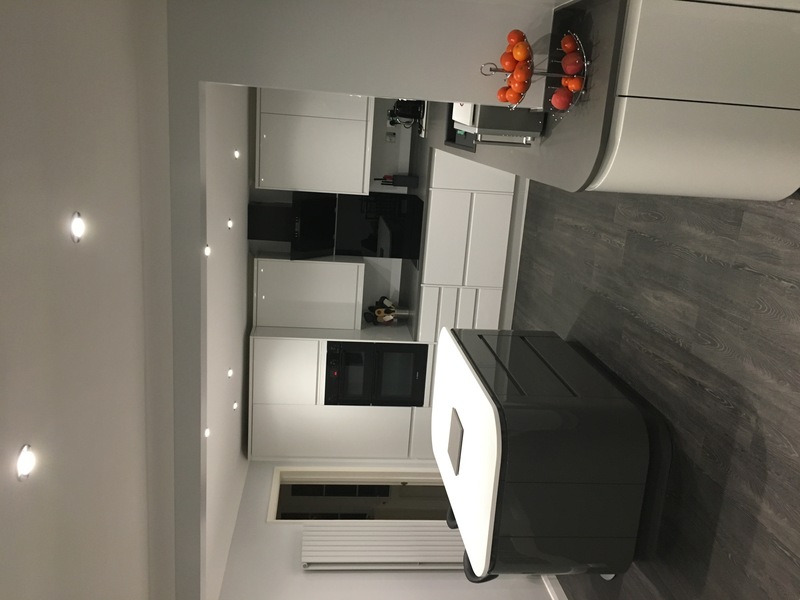 The mix of colours looks great and works so well in the space.